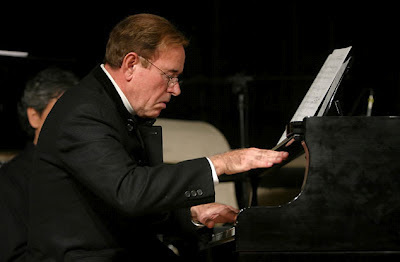 David Del Tredici 75th Birthday Celebrations Continue! 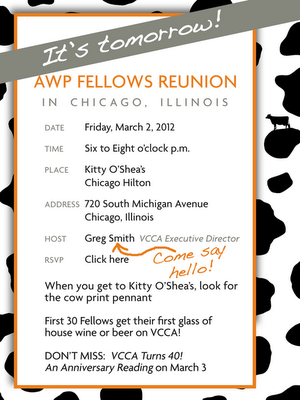 AWP Fellows Reunion is TONIGHT! Another VCCA Poetry Reading at AWP - Tonight! Poets and VCCA Fellows Patricia Clark, Marilyn Kallet, Michelle Boisseau and Irish bard Siobhán Campbell are reading at AWP tonight! Two young classical musicians will play piano and cello to welcome guests. Make it an evening of wine, cheese, Fellowship, music and poems.